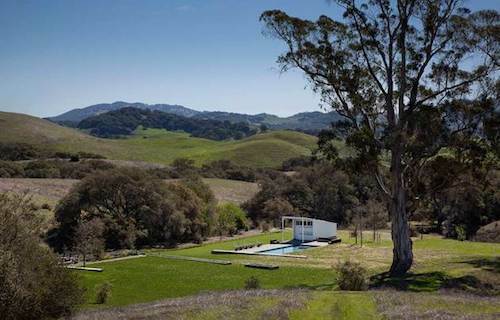 Hupomone Ranch is set in the bucolic dairy farm land near the town of Petaluma in Marin, California. 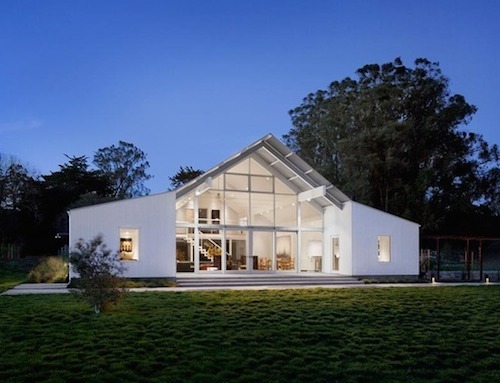 Designed by Turnbull Griffin Haesloop Architects the generous home reflects both the hip post-modern sensibility of Marin – and the traditional farmhouses and barns of the region. Central to the barn-style home is a huge double height wall of glazing. 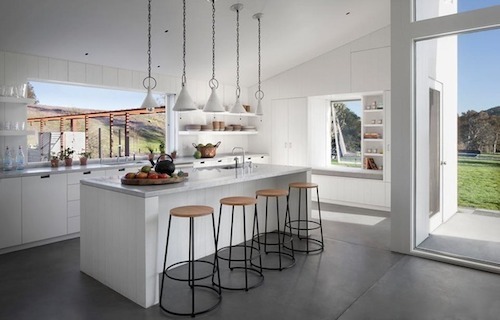 To one side, a brisk white farmhouse kitchen – love the lineup of industrial-chic lamps! 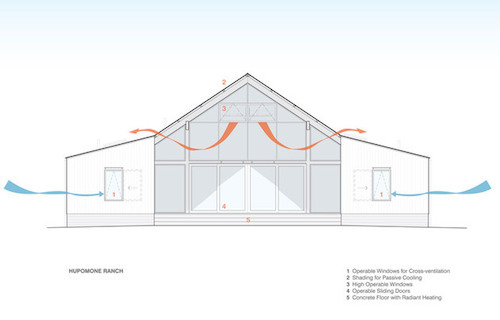 A pool house echoes half of the gable shape of the home. 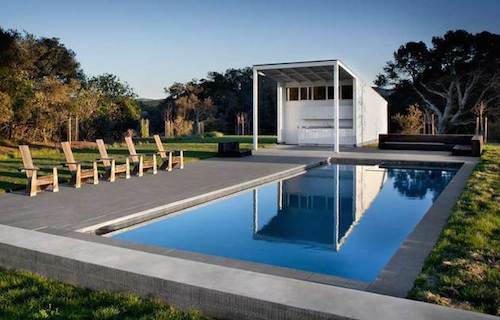 The pool is a pleasant walk through the rolling countryside. 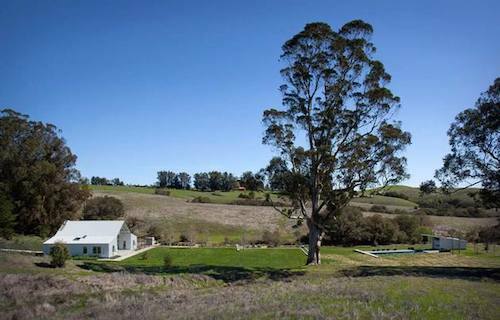 The ranch had not been cultivated for 30 years and the young family wanted to create a sustainable lifestyle for themselves and their 3 children. The farmhouse uses the oldest ventilation trick in the books. Warm air rises. The client’s brief was for a eco-friendly barn style home with the same sweet sense of serenity as found in the surrounding landscape. 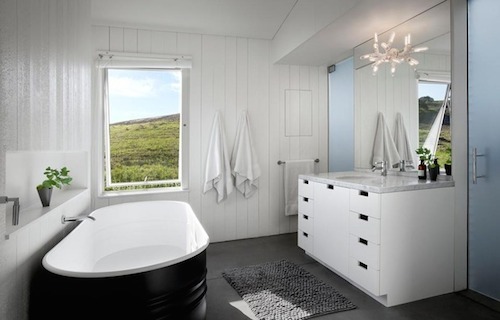 The bathroom with its white panelled walls is a nod to the Petaluma farmhouses of yesteryear. 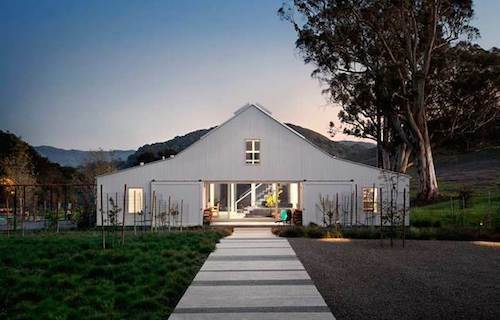 Wide open barn doors welcome the family home to the generous gathering space in its center, with compact bedrooms and bathrooms to the sides. 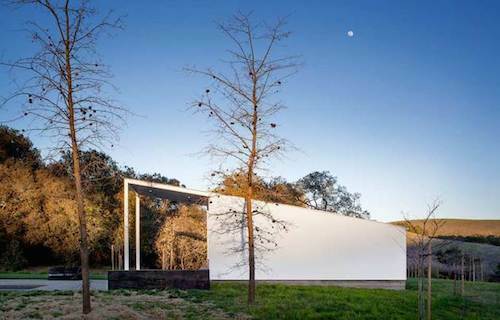 This entry was posted on Thursday, October 25th, 2018 by Susan Kraemer and is filed under Architecture. You can follow any responses to this entry through the RSS 2.0 feed. You can leave a comment.